Overview: Carnival Wheel is a 3-reel, 1-line slot game with all sorts of ways to win big. For starters, players can form winning combinations out of the fluffy toy balls, bears and elephants that are found throughout this slot game. 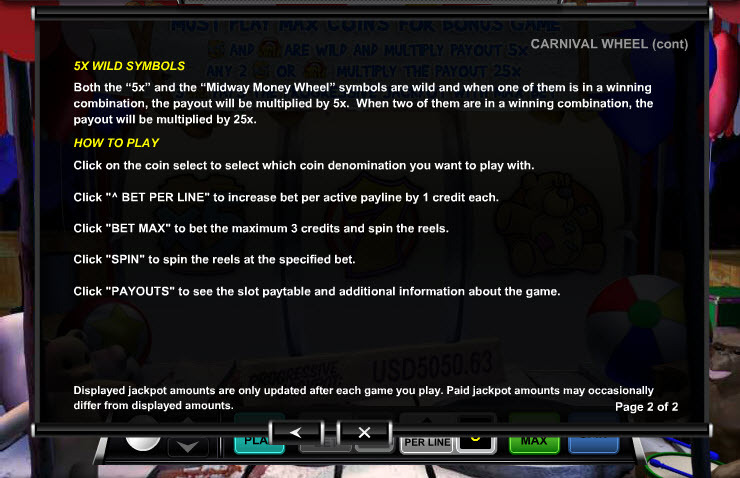 If you find the wild "5x" and the "Midway Money Wheel" symbols on a winning spin, the payout will be multiplied by five times. And if you land a pair of each symbol as part of a winning spin, the payout will be multiplied by 25 times, for a huge win. 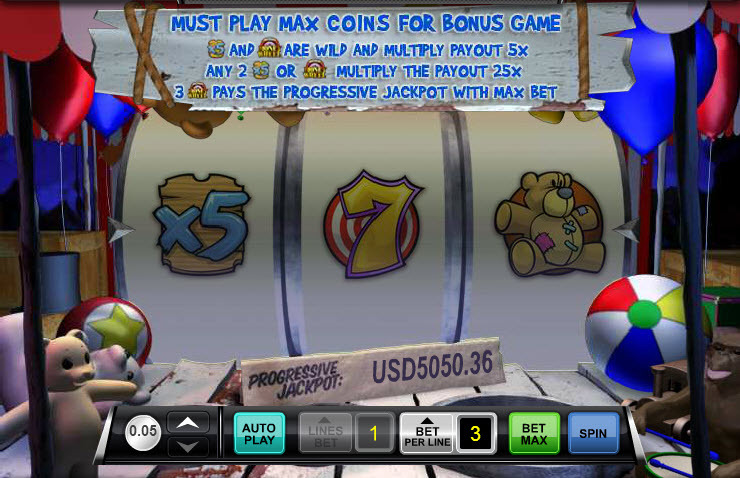 Bet the maximum 3 credits and get a chance to win the massive progressive jackpot if three "Midway Money Wheel" symbols appear on the pay line. The amount of the jackpot will vary based on the coin value chosen. But the fun of Carnival Wheel doesn't stop there. 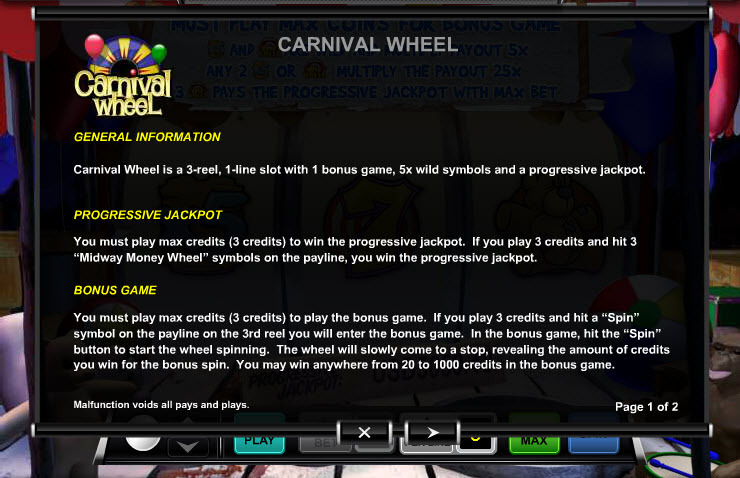 You can enter the special bonus game if you play the max credits and receive the "Spin" symbol on the third reel. Once in the bonus game, hit the "Spin" button to start the wheel spinning. The amount of bonus credits to be awarded, which ranges from 20 up to 1000, will be determined by which number the wheel stops on. Similar Slots: If you like Carnival Wheel, you might like these other slot machines from Ace Gaming: Bar Room Blast, Deal or Steal, Fruit Fuzion, Headline Slots, Heaven Cent, Volcano Bonus.